When you spill your drink on your shirt, you let it air dry. When you step in a puddle, you leave your shoes out in the sun. When the spare bedroom smells stale and damp, you open the window. 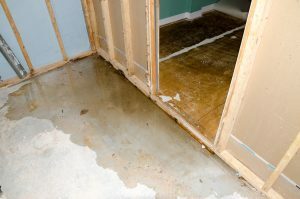 However, large-scale water damage problems call for professional restoration team; the offer some amazing high-tech solutions. Your local grocery store just doesn’t have the proper supplies. The chemicals used by top restoration professionals include specific antimicrobials, disinfectants, deodorizers and mold stain removers. They also have access to commercial smoke removers, preventative coatings and sealers, fungicides and blast/ sanding media. While ozone was the best solution for smoke odor in the past, now hydroxyl generators have quickly become the preferential method for odor removal; it is a safer alternative. Plus, hydroxyl generators also deodorize the room’s contents as well as removing odors from the room. Being able to keep stored items in place during the odor remediation process is a huge improvement over separate contents deodorization. Remote monitoring means setting up sensors on site so that data can be collected and analyzed in real time. Most remote monitoring systems focus on (of course) measuring relative humidity and temperature but can also include dew point, grains per pound and equilibrium moisture content readings. Advanced systems can even turn on and off drying equipment remotely. By accurately monitoring the conditions in your home, the restoration team can plan visits based on real-time data to maximize available time and get your home back faster. And at the end of the project, this data can produce better, more reliable documentation for your insurance carrier. No matter how high tech, these tools cannot replace a qualified technician, but a are fantastic tools in the hands of a restoration company. An experienced team will combine the science with art- lessons learned from past situations and similar circumstances. As you choose a team to assist you with water damage, ask for advice about how the latest technology might improve your project. Trac Solutions offers both residential and commercial restoration services for fire, water, and storm damage as well as mold remediation, cleaning services, and basement waterproofing. As a state-licensed contractor, TRAC Solutions provides customers with the most professional and complete answer for any type of structural damage.